Welcome to Handy Steel Stocks. Handy Steel Stocks - "The Steel Specialist" of Melbourne's North. Located in the heart of Heidelberg West's Industrial Estate – we are well positioned to service Melbourne's North, North East and North West. In keeping true to this, we provide free delivery to West Heidelberg, Preston, Thomastown, Campbellfield, Tullamarine, Reservoir, Brunswick, Collingwood and all northern suburbs. Handy Steel Stocks is a family owned and operated business and was established in 1979 in a small factory in Percy Street, Heidelberg West; now some 30+ years and four moves later, you'll find us at our current location Unit 2, 46-50 Sheehan Road, in Heidelberg West. We strive to provide excellent customer service. 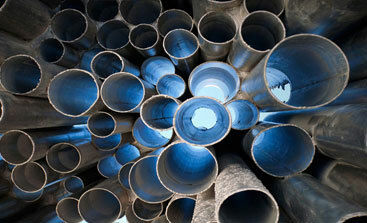 We offer our customers a wide range of steel product that is competitively priced. We provide a prompt steel "cut to size" service that will save you both time and money. Handy Steel Stocks has steel for all needs – from the largest of projects to the smallest handyman job. "FREE DELIVERY in our Delivery Zone for Orders over $55 gst inclusive"
Is what makes our competitive pricing even more competitive! And it's fast! Our trucks load up twice a day – so as long as your morning order doesn't require our cutting service it can often reach you in the afternoon – and it's FREE! Orders that require our "Cutting Service" or are "Buy-ins" can usually be delivered in 2-3 days - and YES! - DELIVERY is FREE if your order is over $55 gst inclusive! If it's less than $55 incl. gst incl. then there's a small $22 gst incl. delivery fee. Contact us today and let us service your steel needs.